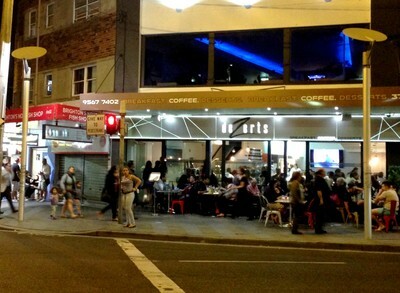 Despite the spelling, Dezerts in the seaside suburb of Brighton-Le-Sands actually has little to do with sand and camels, and much more to do with sugar laden delights in enormous portions. Since opening in August last year, Dezerts (really though, at the very least it should be Dezzerts... okay moving on) has grown enormously in popularity. On a balmy Friday or Saturday night you can expect swarms of people and queues extending out the door, but fret not sugar junkies, the friendly staff and speedy table service ensure that the wait for your next fix is as short as possible. While Dezerts serves up a daily breakfast, as well as a selection of savoury meals, its their sweet treats that bring the revellers back. Mountains of ice cream scattered with an array of toppings, pancakes and waffles stacked high and slathered in nutella, an array of cakes, tarts, macarons and mousses as well as about a dozen different deliciously doughy scrolls are all available to choose from. The gelato is so good it doesn't even need any toppings. At Dezerts most dishes are customisable - which means you're free to craft exactly what you want. Gelato bowls come in three different sizes, from one scoop all the way up to 5 scoops ($7-$26) and come with your choice of toppings which include Belgian chocolate, fresh berries, caramel, marshmallows and crushed peanuts. 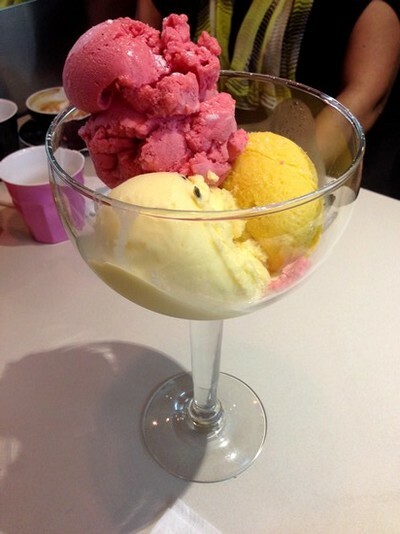 The gelato at Dezerts is light and creamy and the flavours; rich and authentic. 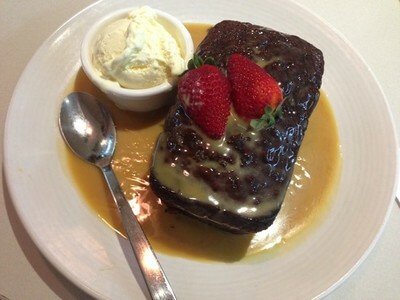 Sticky date pudding served with ice-cream and fresh strawberries. If ice-cream isn't really your thing there is an abundance of other choices. The Dezerts 'classics' feature sweet delights that we all know and love. The sticky date pudding ($15) which arrives in an embarrassingly large portion and served in a pool of butterscotch sauce is delicious; as is the crème brûlée ($15), with it's delicate caramalised sugar crust and lusciously creamy vanilla custard. 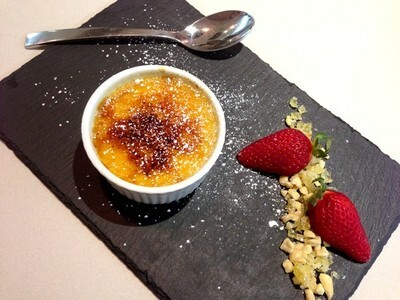 Luscious and creamy, this crème brûlée is hard to beat. 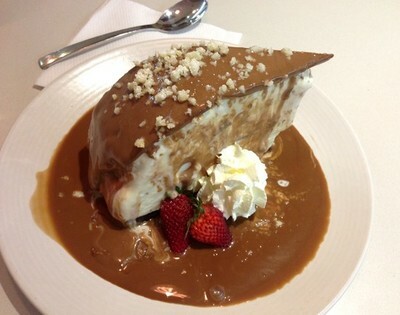 A 'slice of heaven' - ice-cream, Oreo's, whipped cream and crushed nuts all in a pool of Belgian milk chocolate. Dezerts also boasts a selection of signature dishes - the slice of heaven ($20) is one such dish. This mountainous ice-cream cake takes macadamia ice-cream and piles it atop a crushed Oreo biscuit base then douses the whole thing in Belgian chocolate. As if that wasn't enough, this 'slice of heaven' comes with whipped cream, fresh strawberries and a sprinkle of crushed nuts. While this all sounds amazing, and it is, the dish quickly becomes overly sweet and the portion is entirely too large. Seriously, do not attempt alone, otherwise you might just find yourself in a lactose and sucrose induced coma. 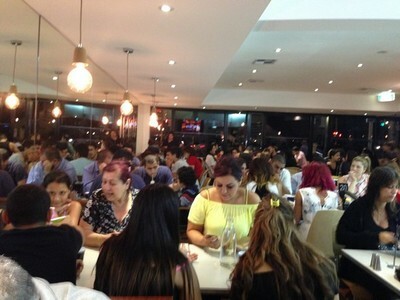 The small café can get a little cramped on a busy weekend evening. 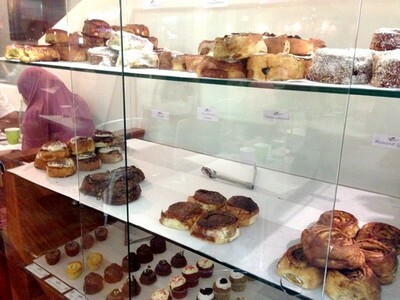 While Dezerts may be a little cramped and prices on the high side of the spectrum, the desserts on offer are generous and delicious, and with such an extensive menu, that even caters for our gluten-free and vegan friends, Dezerts is sure to impress even the most discerning dessert connoisseur. Where: 373 Bay Street, Brighton-Le-Sands, NSW, 2216. Cost: Breakfast and savoury meals $4 - $28. Desserts $7 - $24. When: Monday - Thursday from 8am - Midnight. Friday - Sunday from 8am till late. Good for kids: Definitely - there is a kids menu which includes both sweet and savoury dishes.